To be or not to be. We’re always trying to outsmart time and laws, thinking that we’re faster than anyone else, in a continual race against all reason, logic and simple math. 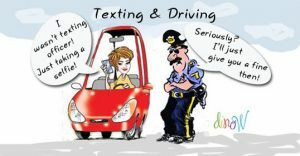 We always think that we can steal that split second and text to our hubby, daughter, boss while keeping an eye on the road. We take incredible risks, play our lives but persist in our stubborn, life-threatening habit. We’ve seen advertisements stipulating that a horrible, fatal accident can be the result of such reckless attitude, read incalculable articles about it but… to no avail. 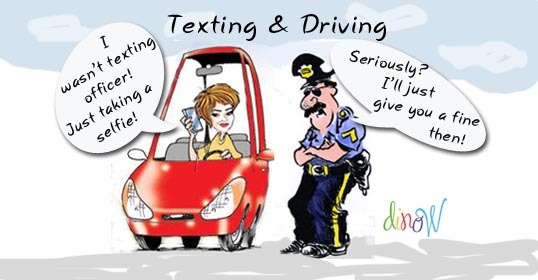 We persist in playing the Russian roulette, daring God, the providence and all the powers to be and go on texting. Suicidal? Arrogant? Above the laws? There is no right answer for this.